This year as part of the Mother’s Day range Lush released the most gigantic bath bomb I has very seen. 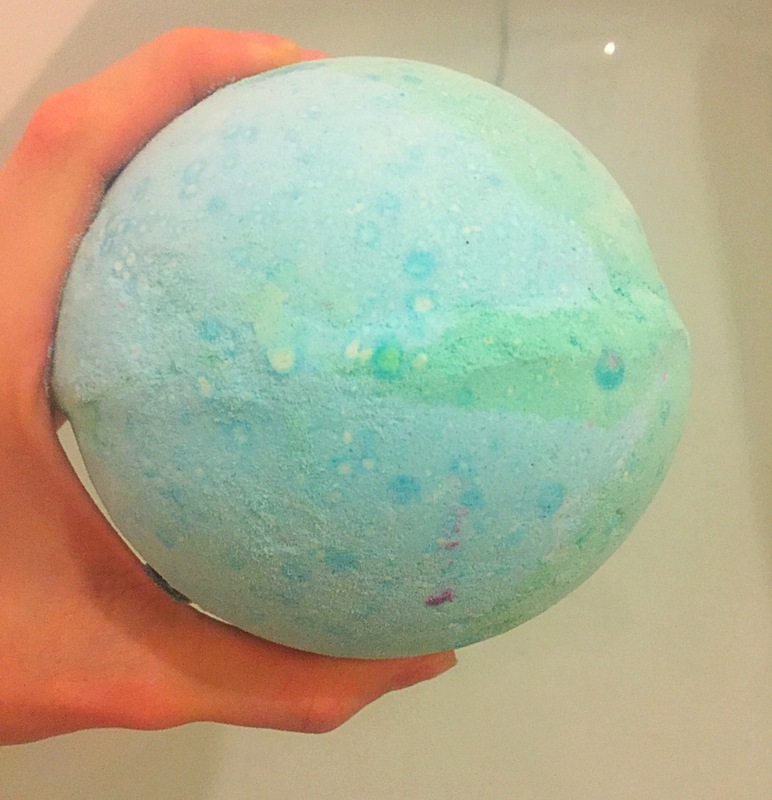 The Mother Earth bath bomb is massive! It is easily 4 times the size of an average bath bomb. At first I thought the idea of an extra large bath bomb was just a bit of a gimmicky product but after using the Mother Earth bath bomb this opinion soon changed. 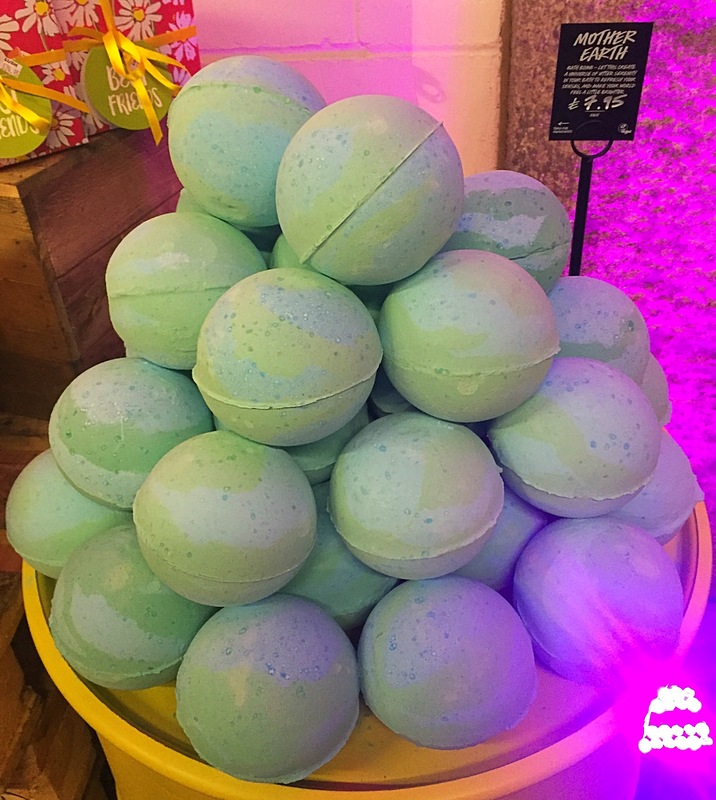 The scent of the Mother Earth bath bomb isn’t quite what I was expecting but is in fact absolutely amazing and has quickly become a scent I wish I could get more of. 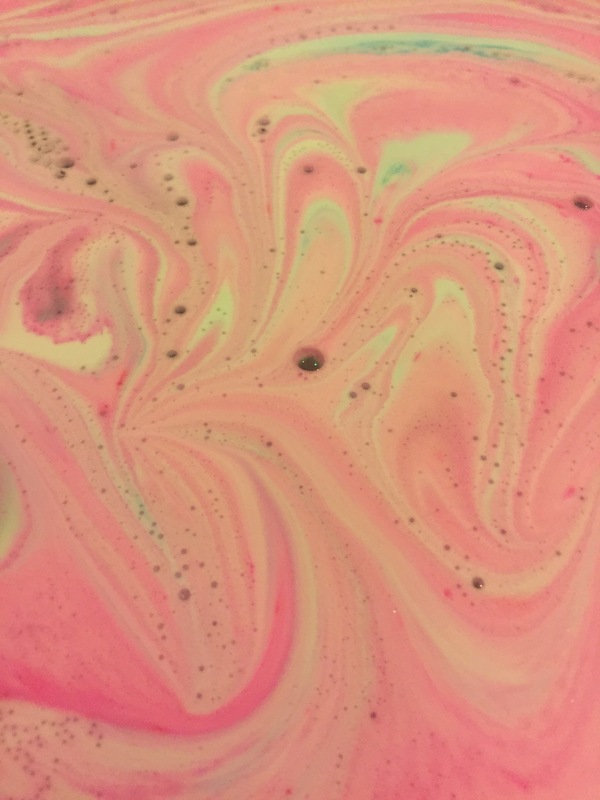 Containing tangerine oil, pine nut oil, cypress oil and peppermint oil this bath bomb has a very crisp and refreshing scent. The ingredient that stands out the most to me is the peppermint but this scent is mixed with citrus and woody elements to create a gorgeous scent. 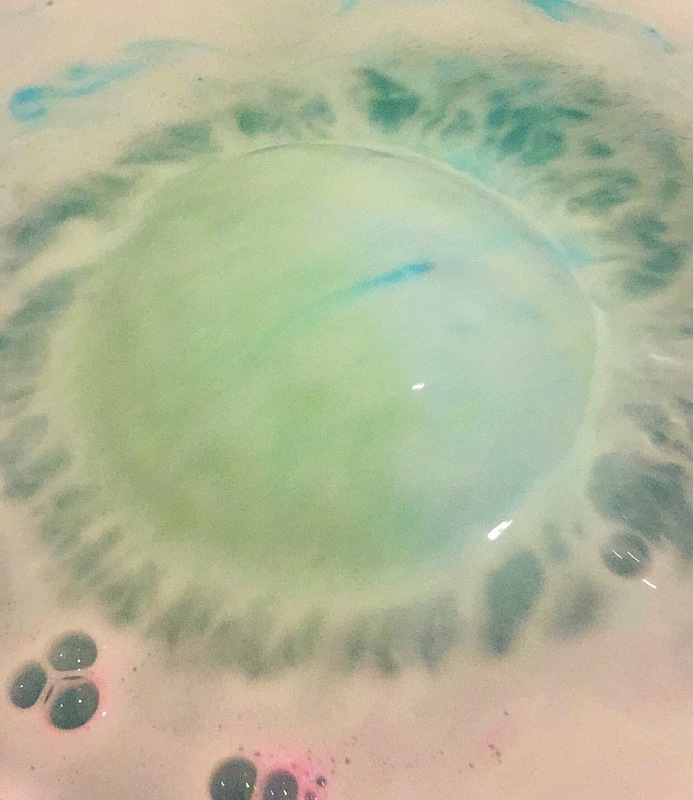 The real magic of the Mother Earth bath bomb happens when it is popped in the water. At first the bath bomb slowly fizzes as it created huge amounts of minty blue foam. It then unexpectedly starts to spin round and round. As it does swirls of white, blue and green cover the surface of the water and the water turn a gorgeous shade of green. 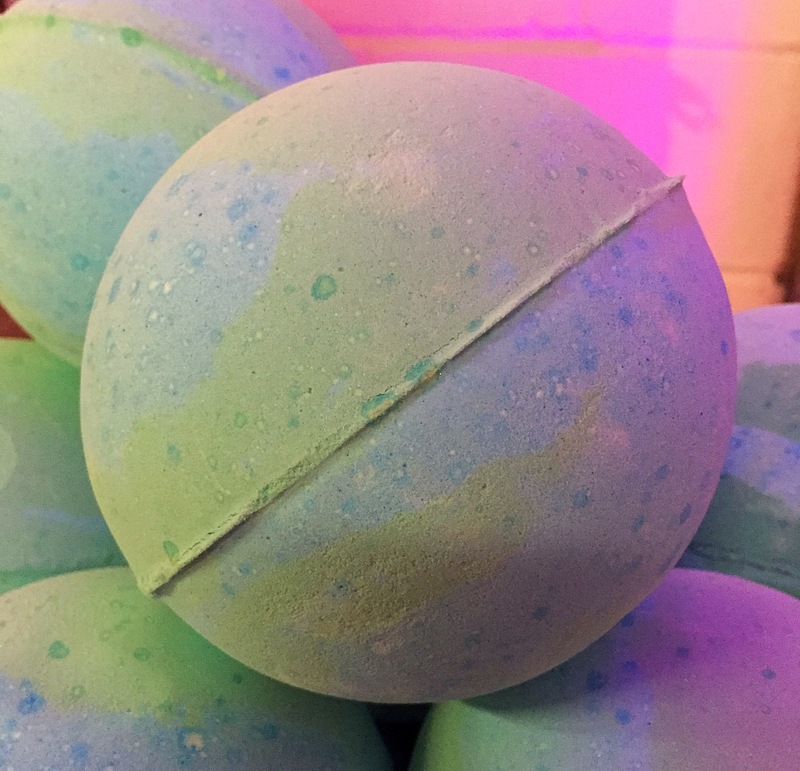 The Mother Earth bath bomb keeps spinning in the water spreading more and more colour across the surface of the water. 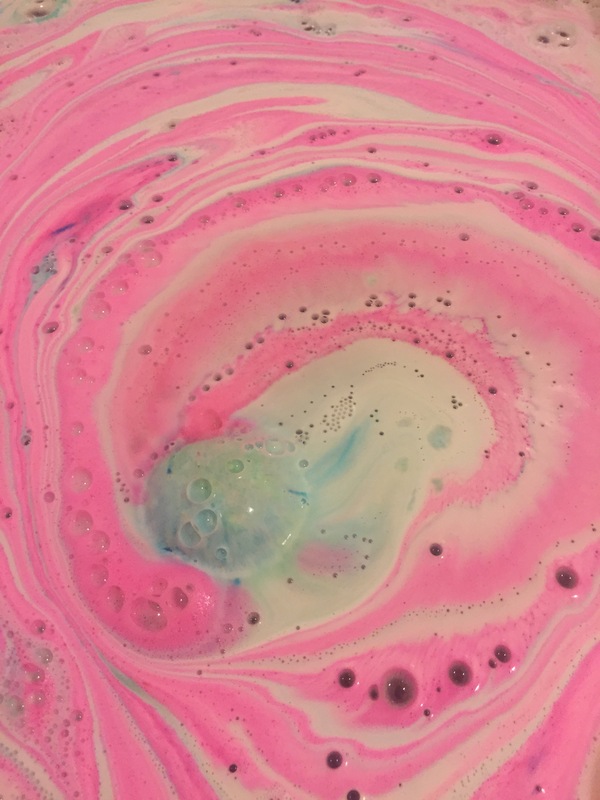 As the bath bomb reaches its centre lashings of pink coloured are released from the centre adding to the bath art that had been created. The pink colour also changed the water to a deep purple colour with a slight shimmer of lustre. I was very surprised to find the bath bomb floated for the entire time and it takes an awful long time to fully dissolve. I thought due to how heavy it was it would sink and sit at the bottom. I was also taken aback with how beautiful this bath bomb is! 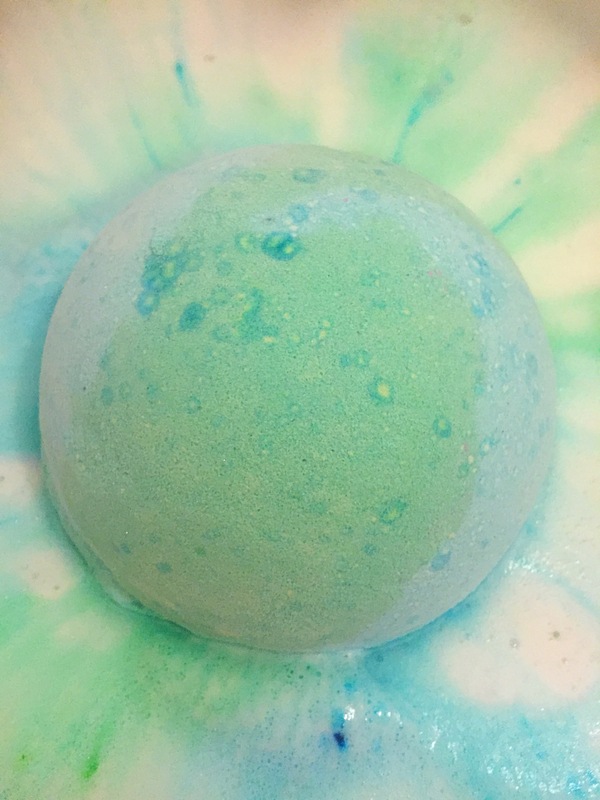 If you love creating bath art you will love the Mother Earth bath bomb. I found the Mother Earth bath bomb to be surprisingly moisturising. The scent also stayed nice and strong for the entire bath. I was slightly worried that due to its size I would find it too soapy for my skin and though i would end up needed to have a shower after, however I was pleasantly pleased to find this was not the case at all. If you are looking for an ultimate treat this bath bomb is the one for you. 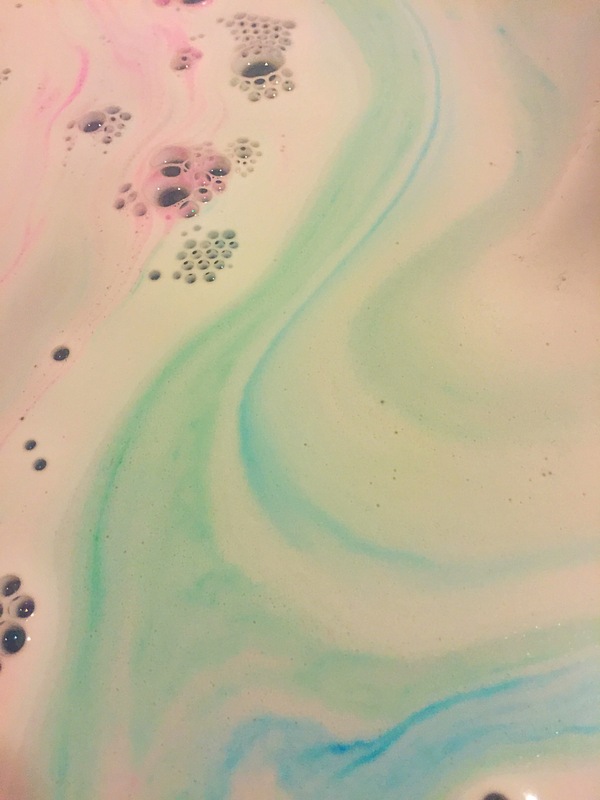 Although it is on a little bit of the pricier side of things, the Mother Earth bath bomb is so luxurious and created a relaxing and uplifting experience that was worth every penny. Soooo excited to use mine after reading this review! ❤ Great post!